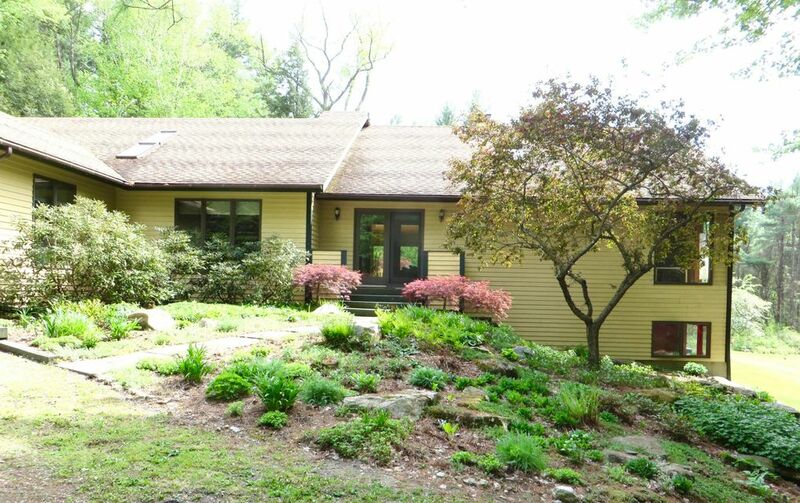 Located in a quiet wooded area, this home is completely private from its neighbors and only 5 minutes from downtown Great Barrington. Exceptionally well designed for easy single-story living, with extraordinary closet space. High ceilings provide extra light and a sense of airiness that is complemented by large and ample windows, allowing for an intimate connection to nature. In addition, there is a large, mostly finished walk out basement and fantastic screened porch. The large, open property around the house contains mature landscaping and a wonderful organic, raised-bed garden, including asparagus beds. A 4Kw roof-mounted solar array resulted in a utility (heat and electric) net cost of $1,750 for 2017.